Home Client Side Object Model (CSOM) PnP PowerShell PowerShell SharePoint Online SharePoint Online: How to Change Home Page using PowerShell? SharePoint Online: How to Change Home Page using PowerShell? How to Change Home page in SharePoint Online? This takes you to the "Site Welcome Page" (/_layouts/15/AreaWelcomePage.aspx) where you can pick any existing page and set it as a welcome page or home page for your SharePoint Online site. This changes welcome page in SharePoint Online. 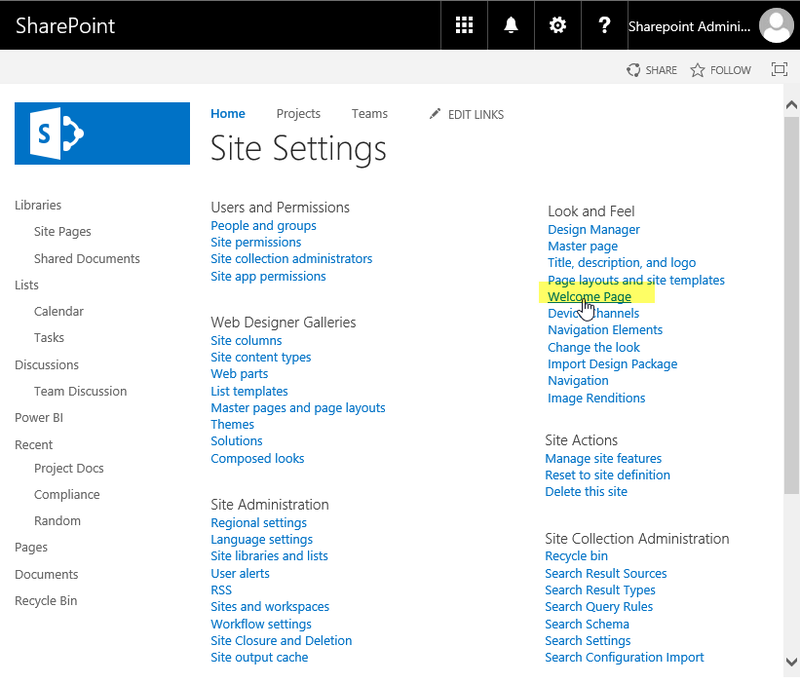 To get "Welcome page" link in site settings, "SharePoint Server Publishing" feature must be activated. Once its active, you'll get Welcome Page link in the Site Settings. Here is the PowerShell to set the page as a homepage in SharePoint Online. This PowerShell CSOM script sets home page in SharePoint Online.